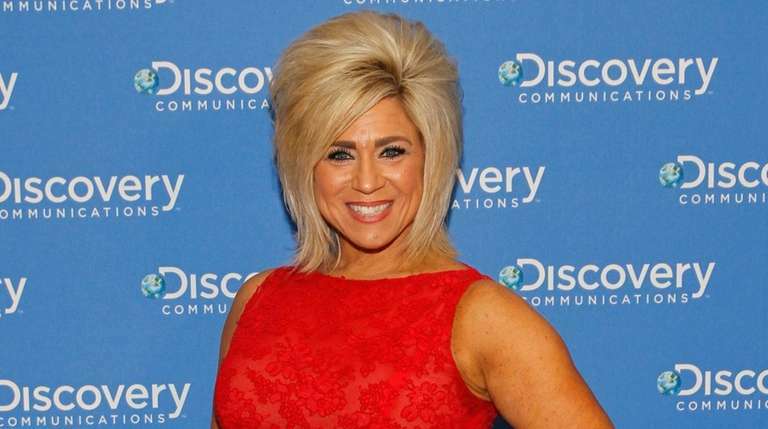 The "Long Island Medium" star tore her ACL when she was in Hawaii. Mentalist Theresa Caputo, star of the TLC reality show "Long Island Medium," joked Sunday about her ongoing recovery from recent knee surgery. "I've got frostbite on my knee from the ice cuff because we’re so obsessed watching #90Day [TLC's '90 Day Fiancé: Happily Ever After?'] . I forgot to take it off," the Hicksville born-and-raised Caputo, who is in her early 50s, captioned an Instagram photo of herself with four other people on and around a black couch. On June 19 she had posted a photo of her left knee in a brace, writing, "Not exactly the look I was going for. I was in a fight with a wave in Hawaii and the wave won. Just found out I tore my ACL," a knee ligament commonly injured in sports-related activity. She had posted photos of herself on July 9 at a Northwell Health hospital in the area, saying her knee surgery was complete and she expected an eight-week recovery period.